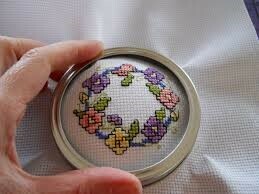 Beginning in April, Sandhya Gupta will teach counted cross stitch to adults and teens on 2nd Wednesdays. No registration is required but register here to receive a reminder. All materials are supplied. Questions? Call Barbara at (510) 608-1117 or email btelford-ishida@aclibrary.org.